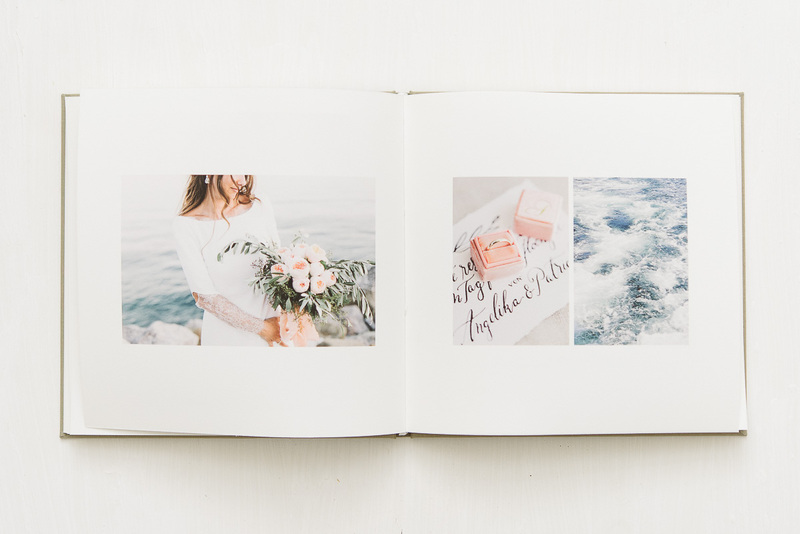 Viva is handsewn fine art photo book printed with fine art pigment inks. Fine art pigment inks means that high quality inks are used which result in more vivid, alive, sharp colors. Please note the specific page design of Viva in our design instructions. You can choose among two papers (190 gms Bockingford or 170 gsm Awagami) that are both acid-free archival papers with a warm tone. Pages of both papers are hand-sewn so Viva is not a lay flat book and you cannot design over the middle. 190g Bockingford paper is produced in England and it is a slightly watercolor-structured fine art inkjet paper with natural woollen felt textured. 170g Awagami paper is produced in Japan and it is recycled bamboo paper with dense but wonderfully soft feel to it. Book is available in 3 different sizes (20x25, 25x25, 30x30 cm) with only 24, 32 or 40 pages, 12 cover colors, and a variety of ways to personalize your book: engraving names, logos, cover photo, presentation box, debossing, hot foil, custom bag, and many more. Sample books are available.